HOTEL operator Marriott International has said its new hotel at City Quays in Belfast will create 115 jobs when it opens in 2018. The company confirmed its first hotel in Northern Ireland would be at the Belfast Harbour development. The £25 million four-star AC Hotel will include 188 rooms, a restaurant, a bar/lounge, fitness facilities and meeting rooms. Marriott's director of international development Paul Thomas said the hotel demonstrated the firm's "commitment to opening design-led hotels in thriving destinations where we see growing demand from discerning travellers seeking a refreshed hotel experience". 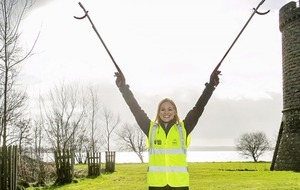 The hotel will be built by Gilbert Ash and will support 180 jobs in the construction phase. Belfast Harbour property director Graeme Johnston said it was "great news for both business and leisure travellers as well as for the city". “Marriott has a very strong presence in the business market which will complement the wider office developments planned for City Quays – the first office is already fully let to four US firms employing 800 people," he said. 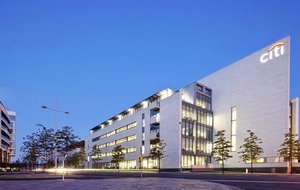 "The hotel will also be well placed to tap into Belfast’s growing reputation as a conference destination with the newly refurbished Waterfront Hall just a short riverside walk away. 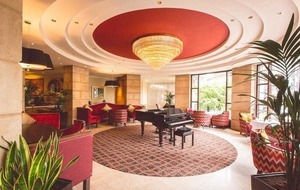 Marriott already has two hotels in Ireland: the Shelbourne Dublin, a Renaissance Hotel and Powerscourt Hotel, Autograph Collection in Co Wicklow. 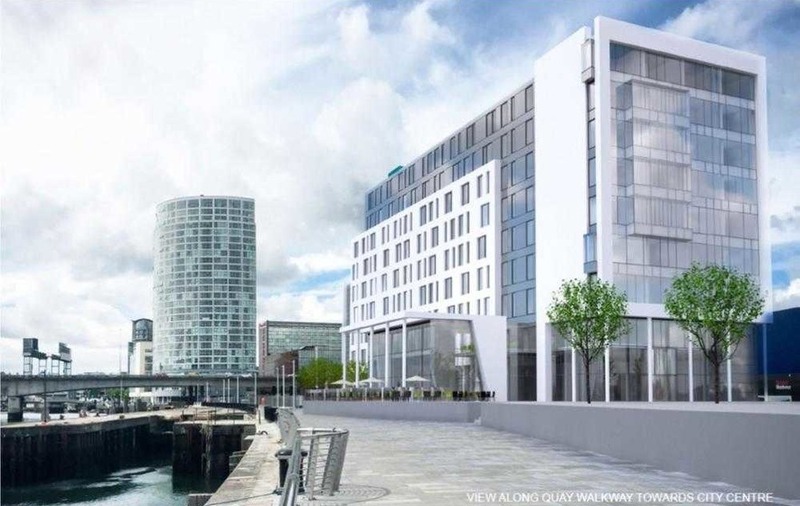 Gilbert Ash managing director Ray Hutchinson said: “City Quays Hotel represents one of the largest contracts that we have worked on in Northern Ireland in recent years, with a project value of £22m, and we are excited to commence work on site. "We know that the finished property will be a welcome new addition to the local leisure accommodation offering, particularly at a time when demand for beds is at an all-time high. Visit Belfast chief executive Gerry Lennon said: "We welcome the news that Marriott International has been selected to operate the hotel in City Quays. This is a welcome addition to Belfast’s growing portfolio of hotels. The last decade has seen tremendous growth in Belfast’s tourism industry, and demand for hotel rooms is rising. Just last year for example, we saw room sales break the one million barrier for the first time, and room occupancy averaged in excess of 78 per cent.